How the time goes by…I never meant to be gone so long but we have been plagued by a succession of colds, Aidan and I not hubby…he never gets sick. 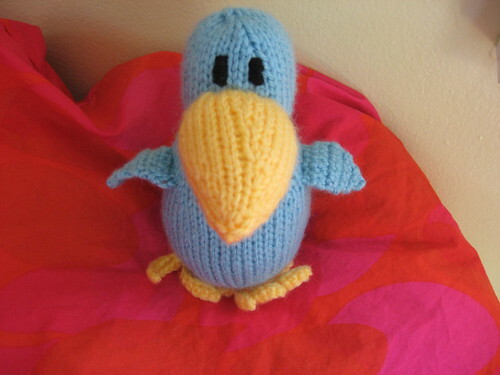 Last time I posted about Little Man’s Valentine’s gift but that wasn’t the only gift i knit up. My mom had a special request and I obliged. On February 21 hubby celebrated his birthday and Little Man and I always bake him a cake. Little Man really gets into birthdays even if it’s not his and this year was no different. He had some trouble figuring out what to give Daddy so we went over some of his favorite things: Tools, Tv, Computer and Making Knives. As soon and he said “Knives” something in his brain clicked and he said “That’s it! I will get Daddy and knife and we will make him a knife cake.” And that is exactly what we did. To me it looks more like a pirate sword than a knife. Cutting a cake freehand is not my forte At All but hubby knew right away what it was and that was all that mattered and he loved it. I was so proud of Little Man coming up with that idea and we had a good time making it. Last Summer i started making a blanket based on this pattern. Remember this? Those were from my blanket, still unfinished but that is my goal for this week-i really am so close. Anyway Little Man wanted a blanket like mine as well so we went and picked out some fabric in the Fall and i washed it right away. A few weeks later I cut the squares and the sat in a pile, in my closet for monthes. Last Sunday it suddenly hit me that though it is freezing outside it hopefully won’t be that way for much longer so i better get that blanket done. I finished all the sewing by Monday. 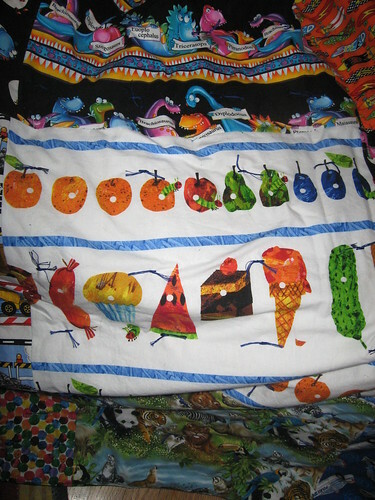 I did not want to quilt it, I don’t have the patience for it, so i decided to Tye the quilt. I spent almost all day hunched over it with a few breaks it’s finished. I am very happy with the end result and have decided to use the same technique on my blanket which means i should have mine soon as well! I love the fabric Little Man picked and they are a good reflection of the things he likes. 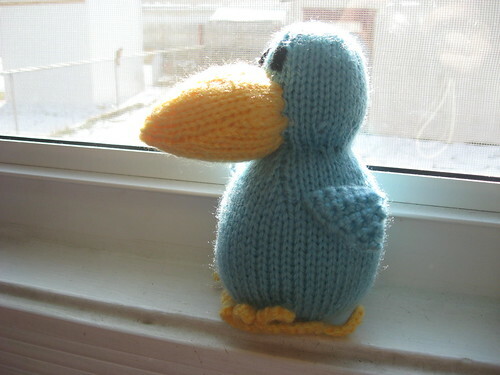 I really need to make my knitted Elijah this year! 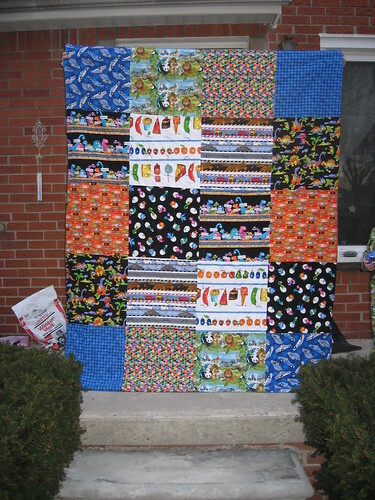 I swear I am going to do some quilting before it is all said and done! Hope the household is feeling all better! Have a blessed week My!! The blanket is amazing!! Little Man will love it forever. 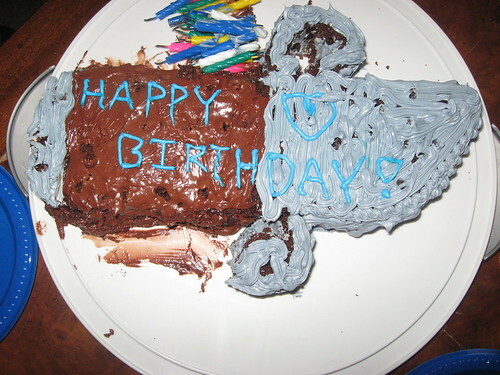 The cake you and Little Man made is excellent. I knew it was a knife right away. 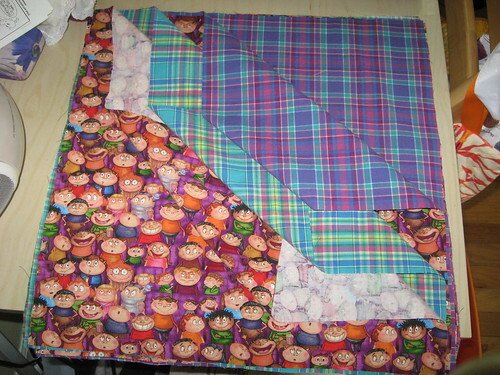 I love the blanket, I’m thinking about making one myself, I have so many pieces of cotton in my stash.